THE Constitutional Court has subpoenaed Speaker of the National Assembly Dr Patrick Matibini and ZNBC director general Richard Mwanza to testify in a case where Richard Mumba dragged Garry Nkombo and 43 UPND members of parliament to court for shunning President Edgar Lungu’s address to Parliament on March 17, 2017. National Assembly when they shunned President Lungu’s address in Parliament. After hearing Mumba’s lawyer Robson Malipenga and an affidavit filed, judge Enock Mulembe granted leave to issue subpoenas to Dr Matibini and Mwanza. According to subpoena ad testificandum and duces pursuant to section of the constitutional Court Act no. 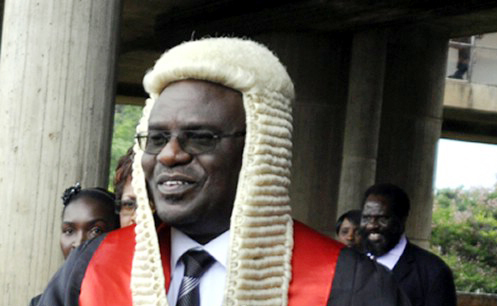 8 of 2016 dated March 18, Dr Matibini and Mwanza are commanded in the President’s name to attend at the sittings before the Constitutional Court of Zambia at Lusaka on March 20, 2019 for hearing of the petition. Dr Matibini is commanded to bring with him and to produce all documents in his custody relating to the 44 respondents and to avail a list of documents to give evidence on behalf of Mumba on what he knew about the matter before court as the speaker of the national assembly of Zambia. The Speaker has also been commanded to produce before court the Oath of allegiance and office sworn before him by the 44 respondents in September 2016. Dr Matibini is further commanded to produce consolidated salaries and allowances paid by the State (government of the Republic of Zambia) to the 44 respondents or any other documents as proof of payments, such as payslips. He is also asked to produce the Presidential speech or report by President Lungu on the progress of the national values and principles delivered on March 17, 2017 in the National Assembly or Parliament and any relevant documents to the matter. In another subpoena, Mwanza is commanded to bring with him and produced television broadcast footage of March 17, 2017 of President Lungu in the National Assembly of Zambia or Parliament and to tell the court what he knew on the matter. Dr Matibini and Mwanza are notified that failure to attend court would be deemed as contempt and may result in committal to prison.